Pedigree Chart Elizabeth Whelan – Click to see the ancestors of Babsie. The Whelans came from Bansha, County Tipperary, Ireland. My grandfather was James Whelan, son of James Whelan and Anne Keating. James came to the U.S. around 1892 where he met and married Anne Shanley. Anne Shanley was from Ross, County Meath, Ireland. She arrived in New York on September 11, 1901 on the S.S. Oceanic. Annie’s mother, Margaret Ahern Shanley, came to New York around 1885 and worked as a cook or housekeeper. Annie Shanley Whelan’s grandparents were John Ahern and Bridget Gibbons. John was a stonecutter from Castlemartyr, County Cork who walked to County Meath to take over the quarries at Ross. They had 9 children. Hi, my grandfather was Patrick James Whelan who served in the Lienster Regiment he made corporal but had his ear shot off in the first world war. 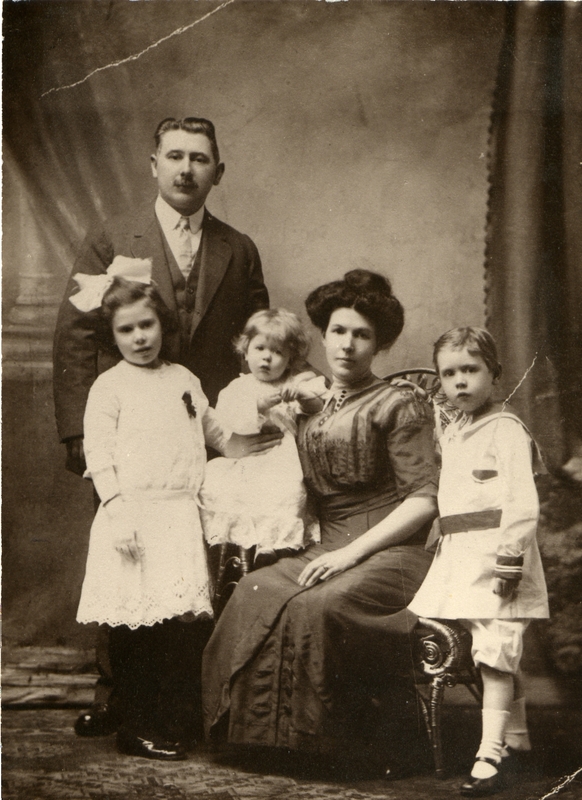 Later he emigrated to Canada but came back to the UK to marry my grandmother Annie Hopkinson. Patrick changed his name to John James Winn because in going to Canada he had deserted the army and didn’t want to be found. He only told his family back in Ireland that he was still alive when he was in his late 60’s when he wanted to claim his war medals which he was eventually presented with. He had a sister that dies aged about 21 called Mary and I have old photos of him, his sister and his mother similar to the one you have online. Hi, I haven’t been posting here, so haven’t checked comments. My Whelans, also called Phelan, lived in Bansha, County Tipperary. Where was you mother’s uncle from? My grandfather, Patrick James Whelan also came from Ireland and we have a similar photo. He, however, came from County Wessex though he had family in Cork and Mayo. He had a sister Mary who died aged around 21 and the family were farmers.